I was supervising Jr IS, but as I circulated around the lab, I watched the clock. Everyone was working quietly. Just before launch, I snuck back to my office and closed the door. The SpaceX Falcon Heavy was surrounded by swirling clouds of condensation at Kennedy Space Center‘s historic Pad 39A. Amidst spectactors’ cheers and the sound suppression system’s deluge, the 27 Merlin rocket engines of the world’s largest launch vehicle ignited. 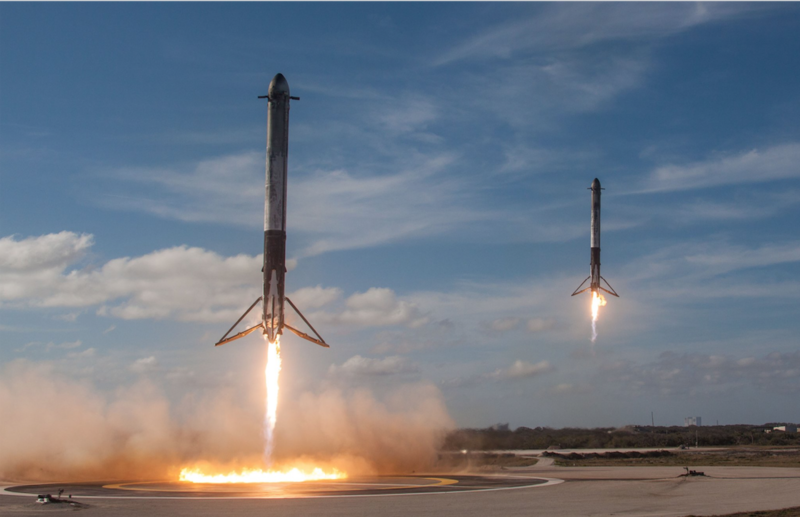 I barely breathed for the first 2.5 minutes of flight under the three Falcon 9 boosters. The two side boosters detached, returned to Cape Canaveral, and landed side-by-side in a 1950s science fiction fantasy. 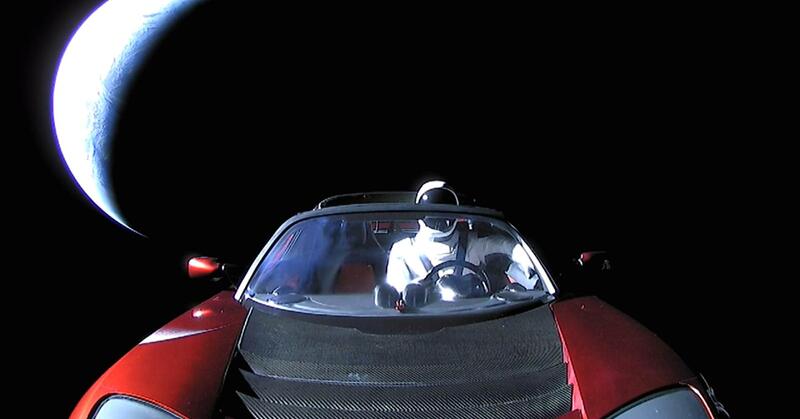 While most test launches use mass simulators of concrete or steel, the payload fairing separated revealing Starman in the driver’s seat of a Tesla Roadster with Earth in the background. Heart thumping, I returned to Jr IS. Everyone was working quietly. John F. Lindner was born in Sleepy Hollow New York and educated at the University of Vermont and Caltech. He is a professor of physics and astronomy at The College of Wooster. He has enjoyed multiple yearlong sabbaticals at Georgia Tech, University of Portland, and University of Hawai'i. His research interests include nonlinear dynamics, celestial mechanics, and variable stars. This entry was posted in Adventure, Space Exploration. Bookmark the permalink. Expanding Your Horizons – Guest Blog by Michelle Bae | Wooster Physicists on April Whirlwind – Part 1! Weblog authors are solely responsible for the content and accuracy of their weblogs, including opinions they express, and the College of Wooster, disclaims any and all liability for that content, its accuracy, and opinions it may contain. Wooster Physicists. © 2019 All rights reserved.